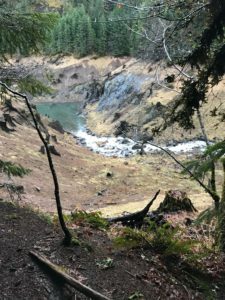 Cougar/Terwilliger Hot Springs Access now REOPENED! We are thrilled to report that access to Cougar Hot Springs (AKA Terwilliger Hot Springs) has reopened! Highway 19 (AKA Aufderheide Rd) was closed due to a landslide over the winter. It has just reopened ! Now you can come and stay at the Lodge and take a quick drive over to the hot springs! Cougar is a natural spring located in the forest – with 4 cascading pools of revitalizing spring water! Great way to relax when visiting the McKenzie River Valley.